Certainly, the best way to learn a new language is to travel to the country in which it is spoken. VR tourism is in its infancy, yet we can tell already that the potential of it seems limitless. Learning languages in VR definitely sounds like more fun than doing this the usual way. It’s always a good idea to acquire some knowledge of the language spoken in the country you want to visit, before actually travelling there. Additionally, the fun factor that virtual reality brings to the table will definitely enthuse kids to learn languages in VR. Mondly, who are known by various foreign language learning apps, recently released the virtual-reality version – Mondly VR, designed to work on GearVR platform. The app features 28 languages, but more importantly, it puts you in real-life situations, like ordering food in a restaurant, or checking in at the hotel reception. The software relies on speech recognition and chatbot technologies, and will give you a feedback on your pronunciation. The VR environment may induce you to remember words and phrases more easily since you are engaged in these life-like situations, which I might add, don’t differ from conversations you would expect in reality. 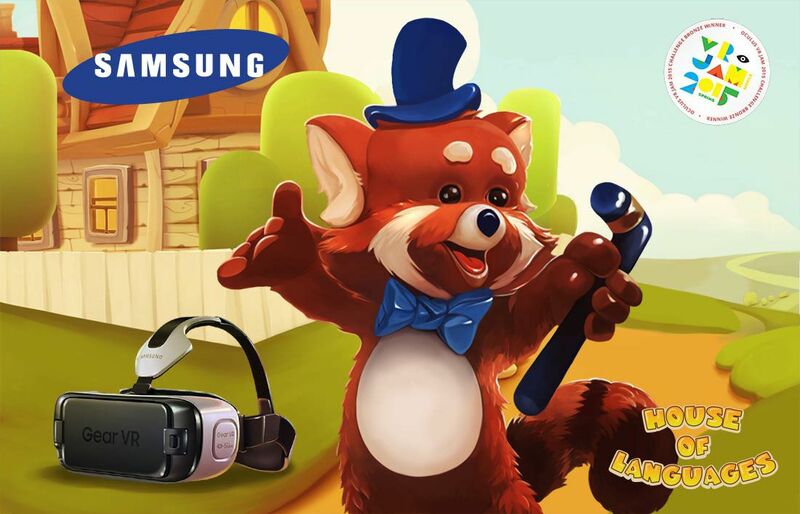 Fox3D, a company based in Estonia, created a new and fun way to learn English, German and Spanish on GearVR in the form of House of Languages VR. You immerse yourself into the cute little raccoon home, where your teacher will be friendly Mr. Woo. The method of learning is very simple. It consists of three phases – see the object with the corresponding name, hear it, and then pronounce it. While it may seem a bit dull at first, the method is well thought out, and the words you learn will stay in your memory for quite a long time. Cartoon-ish environment and cute raccoon family make this a perfect app for your kids, if you have any, to experience virtual reality while simultaneously learning a new language along the way. A company named Virtual Speech has developed many VR courses designed to teach you essentials of public speaking, help you prepare for job interviews and many more. Language VR currently only has a mod for learning English, but Virtual Speech are working on additional content for German, French and Spanish. The app tries to bring English culture closer to the user, but also the subtle cultural differences around the country. Vocabulary is fairly basic and app features several themes like office, bathroom, bedroom etc. There are also stats and awards that motivate you to progress, and a cute space-race game designed specifically for learning numbers. 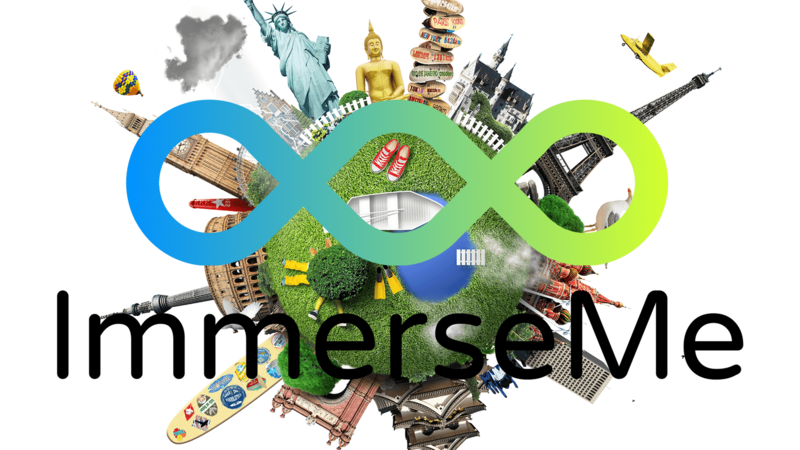 ImmerseMe provides an experience of visiting various destinations around the world from the comfort of your living room. It features 9 different languages and over 500 scenarios, and is designed to give practical language knowledge and required to enhance the travelling experience once you decide to actually pack your bags and go on your trip. Chrome desktop app has been released in 2nd quarter of 2017. We can expect Google Cardboard compatible version in the first quarter of 2018. VR headset application (Vive, Rift, GearVR) will be available in late 2018. While learning languages in VR currently isn’t even close to replacing standard language learning apps, it does give us a glimpse of what the future of education in virtual reality might look like. Next articleAre PlayStation VR Move Controllers Worth It?